The Verizon Ellipsis 8 HD includes 24 months of unlimited Tech Coach support at no additional cost. See how Tech Coach can help you with virtually any question. 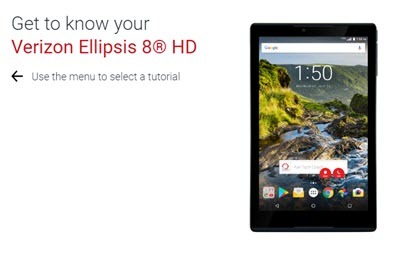 Get to know your new Verizon Ellipsis 8 HD with this quick reference guide. If you need help/assistance upgrading the software on your device or the software update failed, this info helps.